Since my school corrects schedules during the first week of school, it is quite difficult to begin teaching until the second or third day. This means I don’t go over the classroom expectations until the third day of class. Last year I decided that the first day would just be a fun day to help me get to know the students. I set a game show in my classroom with which some of you may be familiar. We played The Match Game. I loved that show as a kid. I used to laugh and laugh until my sides hurt listening to the banter and the answers to the crazy clues. 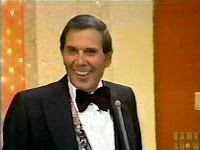 The host, Gene Rayburn, really made the show what it was. His wit and rapport with the celebrities made this show just plain fun. I collected actual fill-in-the-blanks from the show and had the students in teams. We competed against one another with some modified rules. It was great! We bonded a bit, I learned names, and the kids left feeling positive. Before we played I showed them a five minute clip where insanity ruled and hilarity ensued, but what really blew the kids’ minds was that I downloaded the 70s theme song and played it while they came up with their answers. Of course, they thought I was a nut but what a blast! They talked about it all semester. This year I want to try a different game but am not sure what to play. 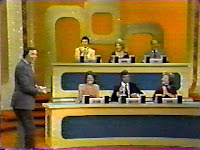 It doesn’t have to be from a game show, but I want something fun. This entry was posted in 70s, First Day, Lessons on August 21, 2007 by drpezz.